Asserting that the Akali veteran had ruined Punjab, and holding him squarely responsible for the Kotkapura and Behbal Kalan firing incidents, Chief Minister Captain Amarinder Singh on Tuesday vowed to go hammer and tongs after Parkash Singh Badal and fix him. Reiterating that there was no question of going soft on the former Chief Minister, Captain Amarinder Singh told select mediapersons here that it was not possible that Badal was not aware of the police firing. The SIT probe report into the incident would go to the courts and the truth would come out, said the Chief Minister, adding that the decision to withdraw the investigation from CBI and hand it over to a Punjab Police SIT was taken by the state assembly, which felt the BJP-led government at the Centre could influence the central agency as the BJP was an ally of Shiromani Akali Dal (SAD). The Ranjit Singh Commission set up to probe the sacrilege cases and the firing incidents at Behbal Kalan and Kotkapura had suggested further investigation, which was why the SIT is being set up, said Captain Amarinder Singh. The Ranjit Singh Commission was a fact-finding panel which did a thorough job to get to the bottom of the events that led to the senseless and deliberate firing on innocent people, he added. Reacting to Badal’s assertion that he was ready to swear that he did not know about the firing, Captain Amarinder Singh dismissed it as a gimmick to divert public attention from his role in the incident. How many times has he falsely sworn at the Akal Takht, asked Captain Amarinder Singh. How is it possible that the CM did not know about the firing, the Chief Minister asked, pointing out that former DGP Sumedh Saini had clearly stated before the Ranjit Singh Commission that Badal had asked him to disperse the crowd forcibly. If something happens in my state then as CM I cannot take refuge in such lies and should be thrown out if I am not aware of what is happening right under my nose, he asserted, adding that as per the Commission’s findings, as many as 22 calls were made to Badal before the firing took place. Badal was an expert liar who would manufacture lies every time to become chief minister, said Captain Amarinder Singh, adding that he knew the Akali leader personally and closely. The Chief Minister pointed out that Badal did not even take action on the findings of the Zora Commission, which was set up by his own government to investigate the Bargari sacrilege and the subsequent firing incidents. A certain legal procedure needs to be followed if the police needs to open fire to control a crowd, which was clearly not done in Behbal Kalan and Kotkapura, he said, adding that the firing in these cases was clearly aimed at killing the peaceful protestors to create strife and tension in the state. The way the people were fired at was horrific, said Captain Amarinder Singh. 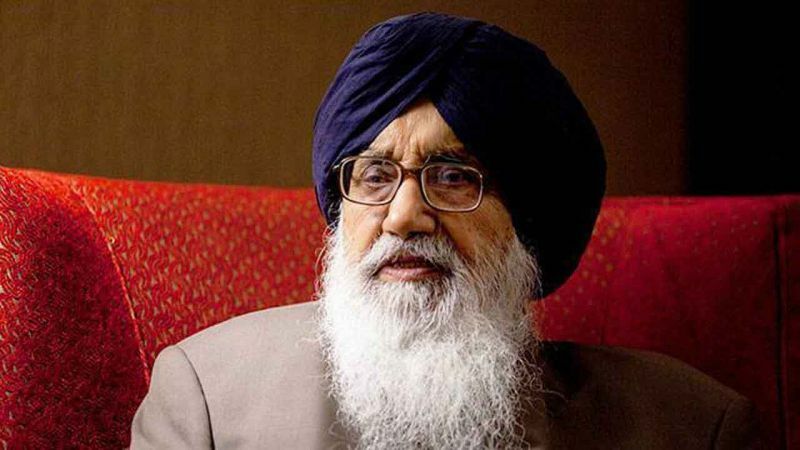 Dubbing Parkash Singh Badal as an outright coward who was used to running away whenever he has to face the people, the Chief Minister recalled that when Sikhs were under attack at the time of Operation Bluestar, the former SAD president had run away to UP. He himself had been in Punjab when Bluestar happened and had left the Congress in protest, Captain Amarinder Singh noted. Pointing out that the Akalis had run away from debate on the day his government tabled the Ranjit Singh Commission report in the House, the Chief Minister dared Badal to come out for debate on the Bargari and Behbal Kalan issues. Vowing strict action against anyone trying to create communal strife in the state, Captain Amarinder Singh said his government’s move to strengthen the blasphemy law was aimed at ensuring that the state’s peace was maintained at all costs. The Chief Minister also lashed out at Harsimrat Kaur Badal for misleading the people with her brazen lies on the AIIMS project at Bathinda. Rubbishing her allegations that he and the Finance Minister were stalling the project, Captain Amarinder Singh said certain technical issues were causing the delay. On the resignation threat of AAP leader HS Phoolka, the Chief Minister said he was just indulging in cheap gimmicks to remain in public limelight. 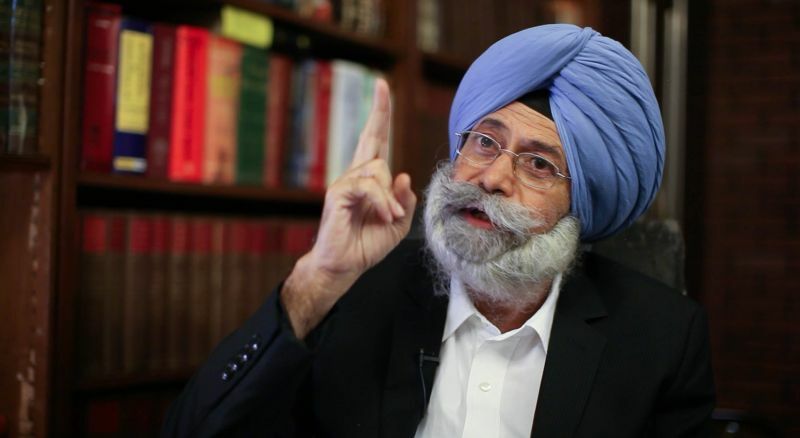 As a lawyer, Phoolka should know there is a system that needs to be followed and the SIT needs to be given time to get to the bottom of the incidents before anyone can be brought to book. The government was aggressively pursuing the cases but did not have a magic wand to deliver overnight, said the Chief Minister, warning both AAP and SAD against politicizing a sensitive matter like the sacrilege cases. The people of Punjab were fully aware of the Badals’ strategy of inciting communal clashes in the state ahead of any election, said Captain Amarinder Singh, adding that the Akalis were playing into the hands of Pakistan’s ISI, which wanted to disturb Punjab’s peace. The SFJ and other radicals operating from Canada, Italy, Germany and other countries were being managed by an ISI officer, said the Chief Minister, adding that there were no radicals within Punjab, whose people wanted peace and development. His government was aware of the attempts being made to foment trouble in the state and would ensure that the nefarious forces being such attempts do not succeed, vowed Captain Amarinder Singh. On the issue of Kartarpur passage for Sikh pilgrims during the 550th birth anniversary of Sri Guru Nanak Dev Ji, Captain Amarinder Singh said he had written to the External Affairs Minister for her personal intervention in the matter and was hopeful the matter would be resolved soon. It was a good thing that Sidhu had talked with Pakistan Army Chief Bajwa on the issue but unfortunately Islamabad had rejected reports of any move to open the Kartarpur corridor, he added. While India wanted peace with Pakistan this could not happen till Indian soldiers were being killed in Kashmir, said Captain Amarinder Singh, himself a former Army officer, expressing doubts that the new Pakistani Prime Minister Imran Khan could step out of the shadows of the Army. To a question about the SYL issue, the Chief Minister said Punjab’s farmers were in dire need of water as tube wells were not affordable. Depriving them of water would lead to chaos, which in turn would help Pakistan succeed in its designs to destabilize Punjab, he warned. The Chief Minister agreed on the need to patronize sportspersons more aggressively and said his government was working to tackle the financial constraints that were preventing this. Sportspersons from Punjab had been moving to other states due to lack of facilities in their own state, lamented Captain Amarinder Singh, vowing to take every step to bring them back. The Chief Minister expressed the confidence that the Congress would sweep all the 13 seats in Punjab in next year’s LS polls and Rahul Gandhi would emerge the next Prime Minister of the country.